A picture of your Dance team looks great in these Dance Personalized Wood Picture Frames. 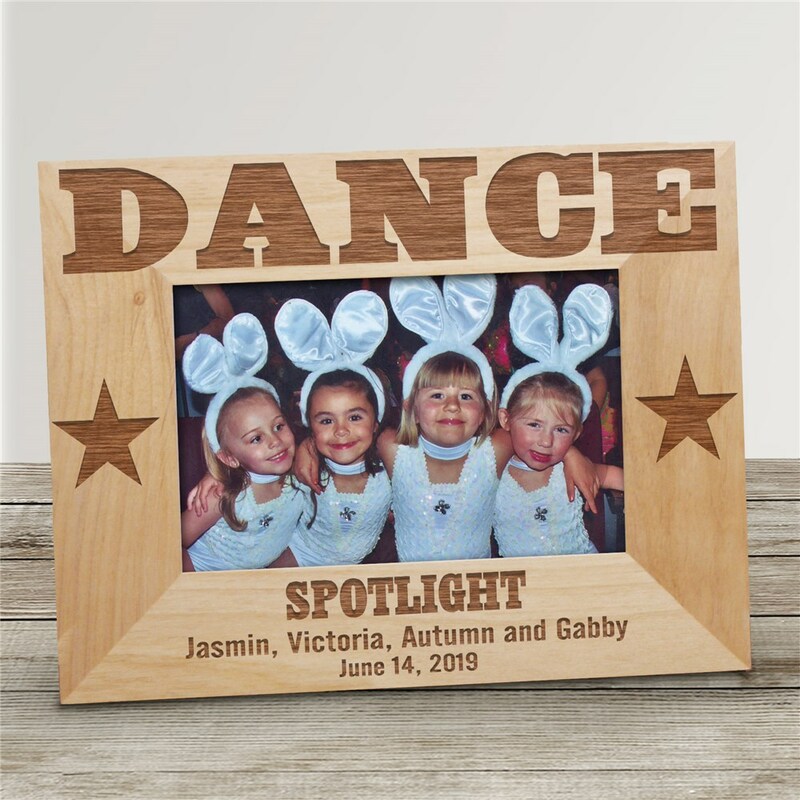 Our Dance Personalized Wooden Picture Frames makes a unique gift idea for any Dance team or coach and Christmas. Our Personalized Dance Wooden Picture Frame comes in three sizes, please choose from, 4"x6", 5"x7" and 8"x10". Includes an easel back allows for desk display. Engraved Dance gifts include FREE Personalization! Personalize your Dance Photo Frame with any name, and two line custom message. It was adorable. I bought it for my niece and I am confident she will love it.